The scandal-hit JOC chief will step down – despite denying any wrongdoing – after growing pressure to resign. Japan Olympic Committee President Tsunekazu Takeda has announced his intention to retire at the end of his term in June as he faces formal investigation by French authorities on allegations of bribery. Takeda, 71, will retire as president after serving 10 terms lasting over 17 years over suspected bribery in Japan’s successful bid to host the 2020 Tokyo Olympics and Paralympics. A former Olympic equestrian with ties to the Japanese royal family, Takeda boasts international connections in the sports world, which helped elevate his position within the International Olympic Committee (IOC) and JOC. Takeda was elected as an IOC member in 2001 and was awarded the prestigious role of chairman of the Tokyo Olympic Bidding Committee in 2012. But French prosecutors suspect that Takeda paid some $28 million dollars in bribes to a Singapore consulting company, Black Tidings, to secure the votes of African IOC members for the Tokyo 2020 Olympic bid back in 2013. Takeda explained that the deals with Black Tidings were for legitimate consulting, but failed to reveal the nature of the services provided due to the contract’s privacy clause. It’s believed that the payments to Black Tidings ended up in the hands of Papa Diack, the son of disgraced athletics chief Lamine Diack, in return for influencing the ballot. Takeda signed off on the Black Tiding fees and has repeatedly asserted that the two contracts underwent regular procedures and proper audits like any other business exchange. In a press conference in January, Takeda denied the bribery allegation and said he would fully cooperate with authorities and “strive to prove my innocence.” But his public appearance attracted harsh media criticism for avoiding a detailed explanation of his involvement. Takeda refused to answer reporters’ questions after making his statement, eventually fleeing after seven minutes. With widespread media attention, Takeda was called into the Japanese Diet for questioning as a suspect in 2016. The JOC report of their internal investigation, together with the Tokyo prosecutor’s office, came to the conclusion there had been no illegal actions. However, that didn’t deter French prosecutors from launching a full-scale investigation of their own. In response to Takeda’s resignation, the IOC announced they have accepted his decision “to resign as a member of the IOC committee to its fullest respect.” The IOC has maintained an innocent-until-proven-guilty attitude toward the investigation targeting Takeda. But Japan’s Nikkei Shimbun reported that sources within the IOC say the group is distancing itself from Takeda in an effort to protect the public image of the Olympics. With a series of scandals in the sports world in recent years, the Japan Sports Agency is formulating new management rules, in particular setting 10-year term limits for sports body chief executives. The JOC will hold a council meeting to select a new director on June 27 and the president will decide the executive officers by mutual election on July 4. 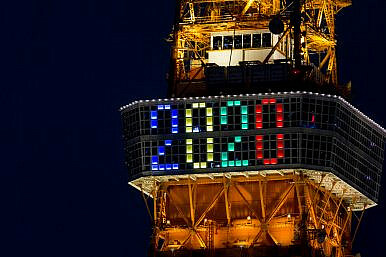 Tokyo’s successful bid for the 2020 Summer Olympics has been marred by a corruption scandal.